When a hypochondriac learns that he is dying, he accepts an offer to throw himself in a volcano at a tropical island, and along the way there, he learns to truly live. 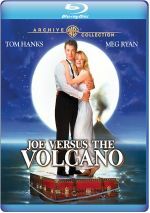 To most people, 1990’s Joe Versus the Volcano stands as a minor Tom Hanks vehicle. If remembered at all, it’s thought of as the first - and least successful - of his three pairings with Meg Ryan. After this, they’d meet again in 1993’s Sleepless in Seattle, and they also reconvened for You’ve Got Mail in 1998. Each of those last two flicks made more than $100 million, while Volcano fell shy of $40 million. Surprisingly, however, Volcano seems to have built a minor cult following over the last 27 years. To be sure, its devotees don’t rival larger factions of fans for films like Buckaroo Banzai, but the film seems to have maintained a pretty decent audience. Personally, I know I saw the flick theatrically, but I remember little about the experience. I seem to recall that it did little for me, but it quickly left my mind. I’d not thought of the movie much over the years, so my recent screening meant Volcano largely offered a new experience for me. Volcano follows Joe Banks (Hanks), a lonely schlub who works at a dismal job. He’s a serious “Born Loser” sort for whom nothing goes right, though it used to be different. At one point, he was a courageous firefighter, but now he’s a neurotic hypochondriac living a dead-end existence. That latter concept becomes literal after yet another visit to a doctor. After a battery of tests, Joe learns he has a “brain cloud” and only has about six months to live. This actually liberates Joe, as he departs his miserable career and becomes a much peppier person. Soon a tycoon named Graynamore (Lloyd Bridges) knocks on Joe’s door. He needs a particular natural product found only on the South Pacific island of Waponi Woo, but its inhabitants require nothing in trade that he can provide - unless, that is, Graynamore can locate someone willing to leap into an active volcano. The Waponis believe that unless someone sacrifices himself every hundred years, the gods will destroy the island. The clock’s a-ticking, and Graynamore approaches Joe for the job. After all, he’s doomed anyway, and he’ll be able to live his final weeks in style. Joe agrees and starts on his journey, and he finds himself accompanied by Graynamore’s daughter Patricia (Ryan). The two take a rough ride and quickly fall in love, a factor that complicates Joe’s suicidal mission. I recently read a comment about Volcano that called it “Gilliam-lite”, and in some ways, that interpretation seems apt. To be sure, the gloomy early scenes look straight from Terry Gilliam’s oeuvre, and there’s a certain anarchic wackiness to some later bits that also feels akin to his work. However, I don’t think Volcano often comes across as a Gilliam knockoff. If the early tone persisted, then I’d agree with that determination, but Volcano eventually makes its own way in the world. On the negative side, Volcano occasionally tries a little too hard to be quirky. The Waponi culture seems self-consciously nutty, and a shipwreck scene too actively evokes memories of Gilligan’s Island. This doesn’t feel clever, as instead, it comes across as too much of an overt wink at the audience. Still, I can’t complain too much, for Volcano never pretends to be anything other than an over-the-top semi-spoof. Much of the film seems hammy and overdone, but that’s the point. Volcano offers a slight story and could be too clever for its own good, but I still enjoy it. To my everlasting amazement, Ryan becomes one of the movie’s strongest elements. I usually don’t like her, but she seems consistently entertaining in her three roles. As with much of the movie, Ryan overemotes, but she does so to amusing effect. As for Hanks, he neither helps nor harms the movie. He lacks much presence here and doesn’t create a very compelling character. During the early parts, that makes sense, but as Joe grows, I don’t feel the change. Nonetheless, Hanks’ work does nothing to mar the flick, even though he doesn’t add any spark to it. An unusual romantic comedy, Joe Versus the Volcano isn’t a classic, but it’s reasonably interesting nonetheless. The movie occasionally seems too self-conscious and precious for its own good. However, for the most part it provides an entertaining and clever experience that merits a look. Joe Versus the Volcano appears in an aspect ratio of approximately 2.40:1 on this Blu-ray Disc. Though it showed its age, the image mostly looked good. Overall sharpness worked fine. Interiors and some wide shots displayed mild softness, but these instances didn’t dominate, so the movie usually appeared well-defined. Jagged edges and moiré effects caused no concerns, and I also detected no signs of edge enhancement. As for print flaws, the image lacked specks, marks or other defects. Volcano provided a varied palette, and the disc replicated those hues well. Some shots could be a little murky due to the era’s film stocks, but for the most part, the tones seemed vivid and full. Black levels seemed deep and rich, while shadow detail was appropriately heavy without excessive opacity. Ultimately, Joe Versus the Volcano offered a pretty positive image. Though also dated, the DTS-HD MA 5.1 soundtrack of Joe Versus the Volcano seemed more than adequate, with an emphasis on the front channels. Within that spectrum, the movie showed consistently good stereo separation and delineation. Effects displayed fairly solid spread and integration across the front. Surround usage offered a little involvement, mostly during the film’s second half. The rear speakers usually offered basic reinforcement of the music and effects. On a few occasions, the back channels kicked to life, such as during the typhoon sequence – that one featured the surrounds in a fairly prominent manner. Nonetheless, the focus remained on the front, and the rear speakers played a moderate role in the proceedings. Audio quality seemed acceptable. Speech came across as reasonably distinct and natural, and I heard no edginess or problems related to intelligibility. Effects showed good clarity and threw out decent low-end during louder moments. The music’s fidelity appeared fine for the most part, with reasonable range and depth. In the end, Volcano offered a clear and serviceable track. How did the Blu-ray compare to the original 2002 DVD? Audio seemed more involving and dynamic, while visuals came across as clearer and cleaner. I thought the DVD looked great on a smaller set years ago, but the Blu-ray still topped it. The Blu-ray replicates most of the DVD’s extras, and Behind the Scenes gives us a four-minute, 24-second featurette. 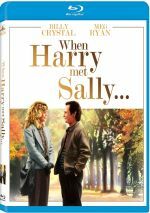 It includes brief interviews with actors Tom Hanks and Meg Ryan and writer/director John Patrick Shanley. “Behind” offers general notes about story/characters but doesn’t add much. A few decent nuggets emerge, but overall this is a slight and uncompelling piece. In addition to the film’s traiiler, we find a music video for Eric Burdon’s rendition of “16 Tons”. It offers the usual combination of movie scenes and lip-synching from Burdon. It’s a silly clip that doesn’t seem very interesting. Though Joe Vs. the Volcano falls short of its goals, it still works reasonably well for the most part. I didn’t love Volcano but I enjoy most of it. 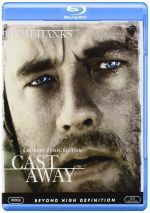 The Blu-ray offers pretty good picture and audio as well as minor supplements. While I wouldn’t call this a classic, it’s a largely entertaining flick.